It’s nice to be proven right. Just a couple of hours ago, I posted a news story in which I guessed that we’d see a series of color-coded Avengers: Infinity War billboards that followed the pattern of the 23 character cardboard standee on display in cinemas. Now, we’ve got two more, one in purple and one in green, both following the same pattern. It looks as if the posters group together the characters as they interact in the movie. 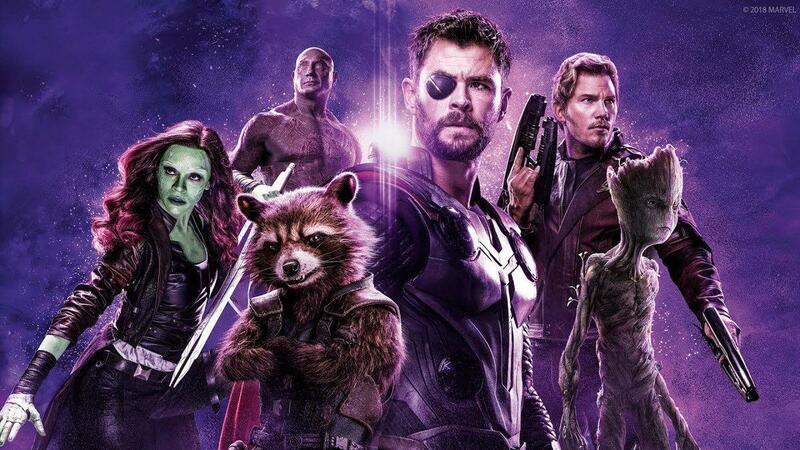 So, in the purple one, showing off Team Thor, we get the cosmically minded Guardians of the Galaxy (sans Mantis) and the God of Thunder, continuing their temporary team-up glimpsed in the trailers that begins when Thor lands on their windshield. 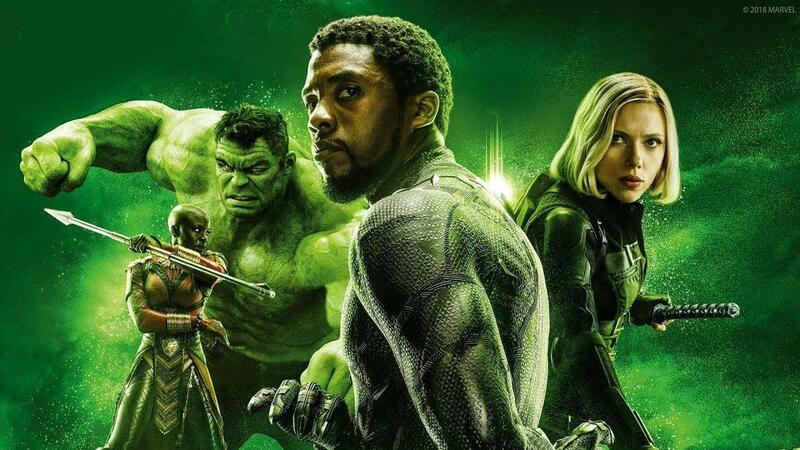 The green one, meanwhile (Team Black Panther) appears to represent some of the characters who’ll be seen defending Wakanda from Thanos. Naturally, these include T’Challa, spear-wielding badass Okoye (who was in the ‘red’ section alongside Iron Man and Spidey originally), Hulk and Black Widow. If the pattern holds up, there’s also a blue one showing off Captain America, Bucky and Nebula, and a yellow one featuring War Machine, Vision and Scarlet Witch out there. Given that there’s so many characters in the film, it’s a smart move to split them up into mini-teams to accomplish various goals in the narrative. By treating these divisions as vague characters in their own right, it should avoid having the pic feeling too busy and will allow it to give the less important folks a moment to shine. 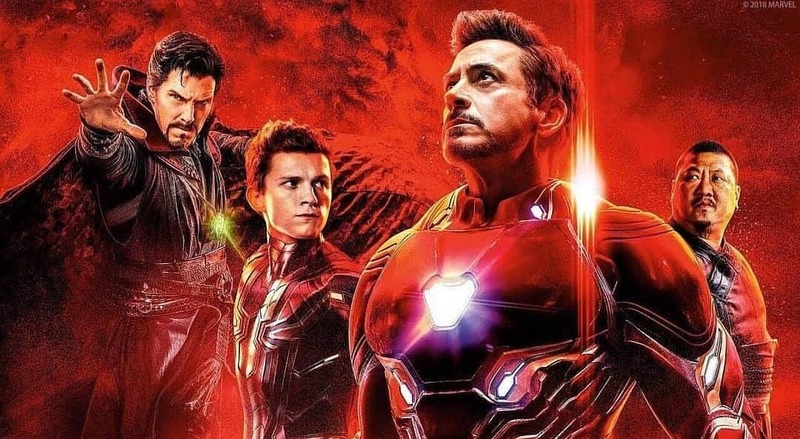 We’ll see how well Joe and Anthony Russo have pulled off this balancing act in just a couple of weeks, when Avengers: Infinity War smashes into cinemas on April 27th. My hype levels are at maximum right now, so I’m hoovering up every single piece of promo material I can find – in case you couldn’t tell.